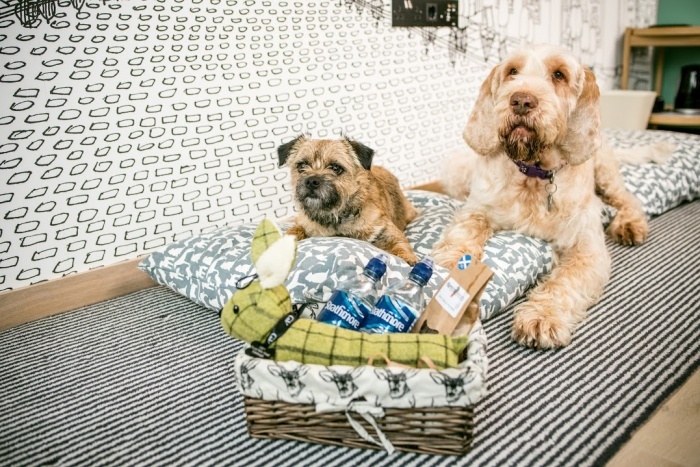 It was genuinely tricky to find a list of Edinburgh dog friendly hotels that are of a high standard and quite a surprise considering we’re supposed to be a nation of animal lovers. 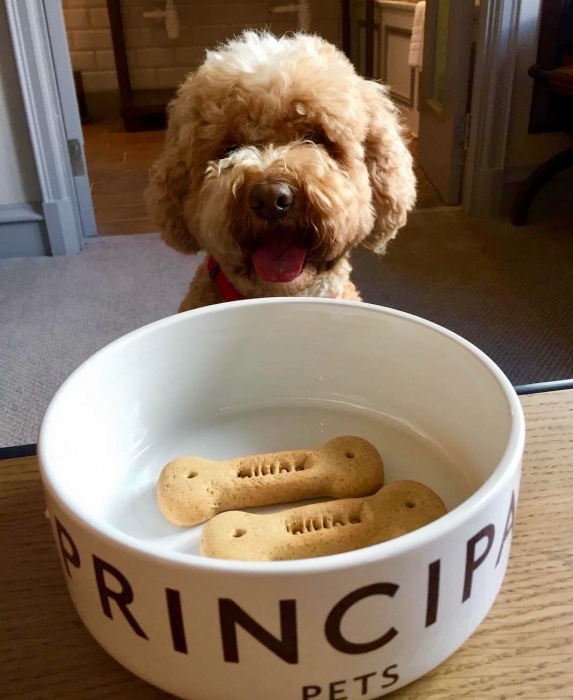 Please note that this article on Edinburgh dog friendly hotels refers to pets and is no indication of any hotel’s policy on service dogs. The Principal is situated in the city centre on Edinburgh’s on what’s arguably smartest shopping street where you’ll also find plenty of restaurants and bars. The hotel has recently been refurbished and its decor and furnishings are that perfect balance of gentle modern hues complementing the Georgian architecture in the old part of the hotel, whilst the modern wing has spectacular views to the Firth of Forth. Terms and Conditions: Advance notification of a dog is required. Dogs should weigh no more than 35kg and must be chipped and fully vaccinated. There is an additional charge of £30.00 per dog per night. Areas in the hotel where dogs are allowed: Bedrooms and lobby only. Facilities for dogs provided by the hotel: Dog bed and bowls. 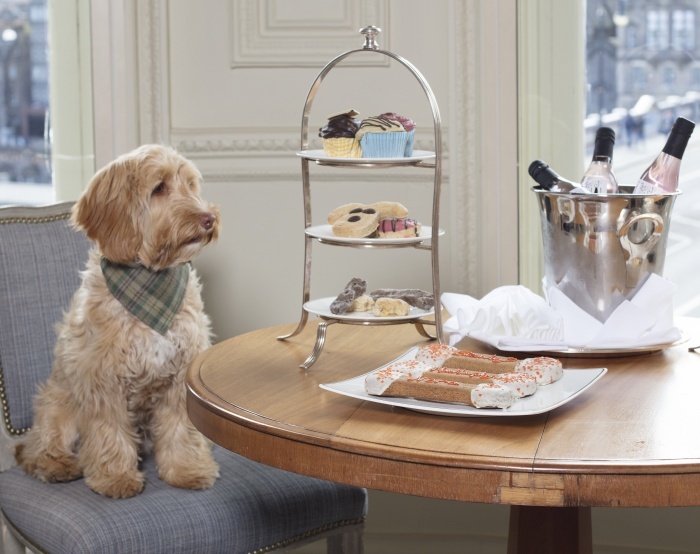 I can’t think of anything you could ask of a hotel that The Balmoral doesn’t offer and that, of course, includes accommodating dogs. Brief Terms and Conditions: Advance notification of a dog is required. Fee of £50.00 per stay or every 15 nights. Dogs not to be left unattended in rooms – pet sitters may be available. Please contact the hotel for full terms and conditions. Areas in the hotel where dogs are allowed: All areas other than food and beverage outlets, spa and fitness areas and pool. 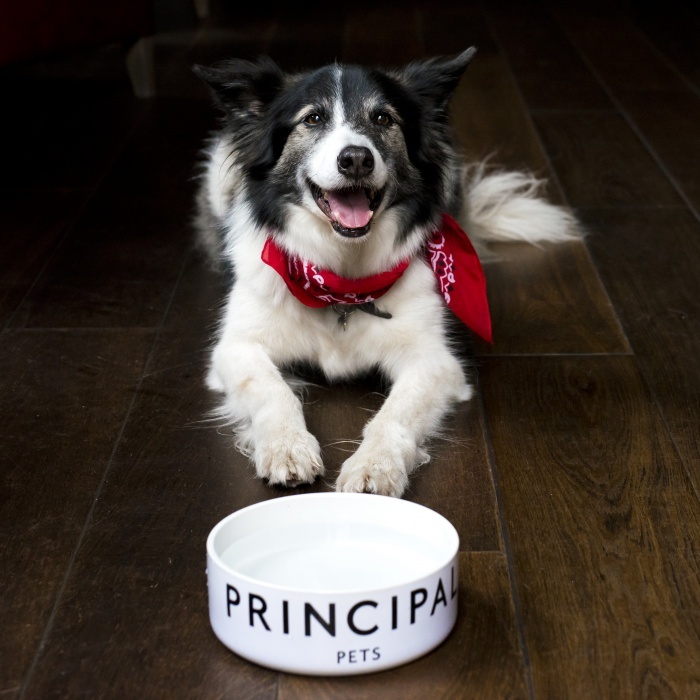 Facilities for dogs provided by the hotel: Dog beds and bowls. Closest dog walk space: Princes Street Gardens (large). Hotel du Vin, a former asylum, situated a short walk for Edinburgh’s Royal Mile has a wonderfully hotchpotch character. The hotel is built around a wonderful cobbled courtyard and has a cosy feel, the rooms are modern and pay homage to Scottish with soft furnishings in muted earthy tartans. Brief Terms and Conditions: Advance notification of a dog is required. Dogs must be well behaved and over 1 year old. Guests who leave dogs unattended must notify reception in advance and leave a contact phone number. Guests will be charged for any damage. 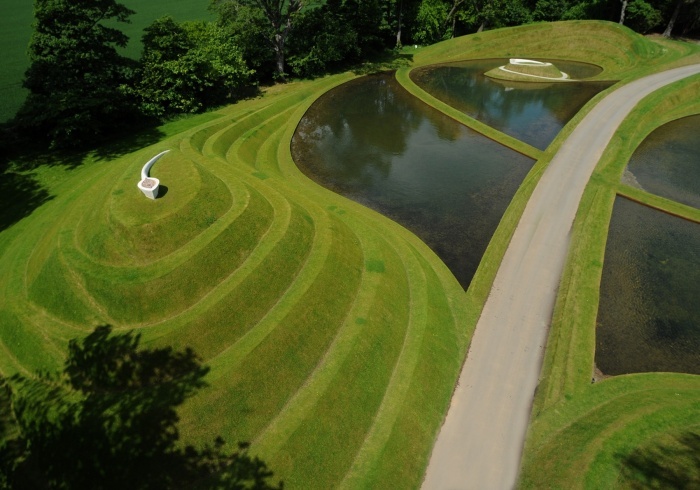 There is an additional charge of £10.00 per night inclusive of VAT. Please contact the hotel for full terms and conditions. Areas in the hotel where dogs are allowed: Bedrooms and all other public areas apart from food service areas (including lounges). A stone’s throw from Edinburgh’s main shopping streets, the Roxburghe is situated on the stunning Charlotte Square, designated as a UNESCO World Heritage Site, and has an abundance of restaurants and bars on its doorstep either in the city centre or the West End. The hotel is contemporary whilst maintaining traditional features such as decorative plasterwork and fireplaces and the rooms are spacious and so comfortable they have a homely feel. Brief Terms and Conditions: Advance notification of a dog is required. Dogs should weigh no more than 35kg and must be chipped and fully vaccinated. There is an additional charge of £30.00 per dog per night. Please contact the hotel for full terms and conditions. 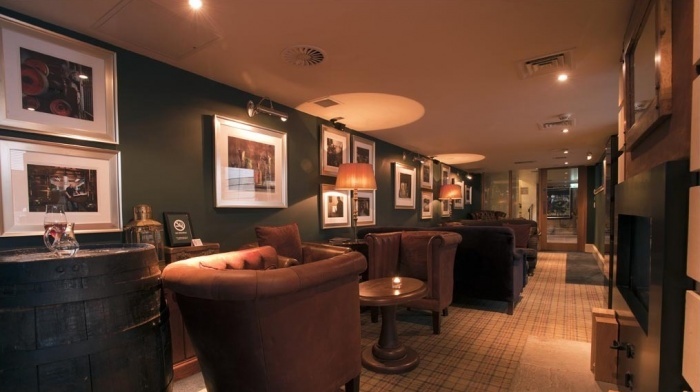 The G&V Hotel, a short distance from The Royal Mile, offers the convenience of a modern city hotel close to great restaurants (we particularly recommend Ondine) on the doorstep of the historical Old Town. The G&V is a modern hotel with its own Scottish twist created by a contemporary warm colour palette with pops of colour. The hotel’s stylish decor has made it popular with locals and tourist alike, creating a friendly welcoming atmosphere. Brief Terms and Conditions: Advance notification required. Contact the hotel for full terms and conditions. Areas in the hotel where dogs are allowed: All areas except where food is served. Facilities for dogs provided by the hotel: Dog bowl, bed, snacks and a soft toy.